A federal appeals court has dissolved an injunction that had blocked President Donald Trump’s limits on transgender people serving in the military. The U.S. Court of Appeals for the D.C. Circuit is the first court to side with the Trump administration on the issue, report Think Progress and the Washington Post. Other court injunctions continue to prevent implementation of the limits. In the unpublished decision issued Friday, the D.C. Circuit noted that the judgments of military leaders are entitled to deference. The court also identified two errors by the district court when it kept the injunction in place. The lower court said the policy approved by Trump in March 2018 differed from the plan first laid out in a 2017 presidential memorandum. The injunction had applied to the earlier policy, and the federal trial court was wrong when it concluded the March 2018 policy was merely a continuation of the enjoined policy, the D.C. Circuit said. The government “took substantial steps to cure the procedural deficiencies” in the enjoined memorandum when it created an expert panel, considered new evidence and reassessed priorities, the appeals court said. The appeals court also said the district court had wrongly concluded the March 2018 policy amounted to a blanket ban on transgender service members. 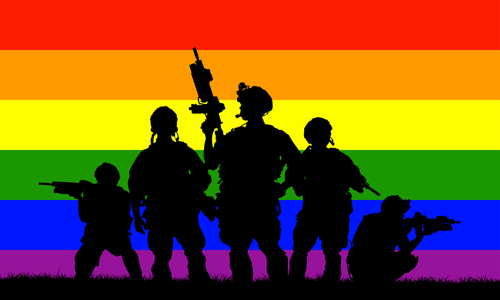 The newer policy generally bans people from the military with a diagnosis of gender dysphoria who require medical treatment to change their gender. Also banned from the military are transgender people who have undergone gender transition. The new policy also includes a “reliance exemption” that will allow at least some transgender service members to continue to serve and receive gender transition-related medical care, the appeals court said. The case is Jane Doe 2 v. Shanahan.